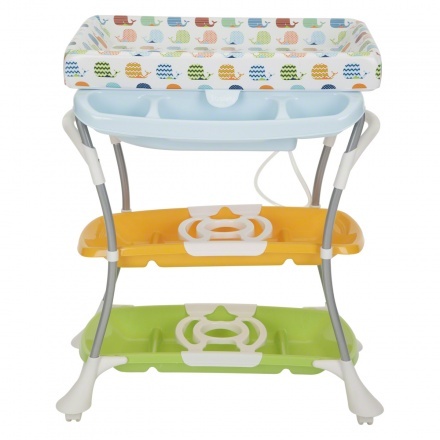 Juniors Baby Bath Table | Multicolour | It has an elevated height. Save SAR 0 (0%) Earn 167 Shukrans What is Shukran? Shukran is the Landmark Group’s award-winning loyalty programme in the Middle East, which allows you to earn Shukrans when you shop any of our brands. Convenient and practical, this baby bath table is just what you need for you little champ. Sporting an attractive print on the table top, the tub below it makes an excellent bathing buddy. Feature 1 : It has an elevated height. Feature 3 : It features wheels for easy mobility and can carry weight up to 15 kgs. 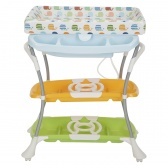 Feature 2 : It is equipped with changing mat.